Writing activities are always something I am looking for different ways to do all the time. I thought it might be fun to have a thankful writing journal for my girls. All too often we don’t think about all of the things we are thankful for. Part of my goals for the month is to remember to be thankful for things. Now my girls can do some writing of what they are thankful for as well. I wanted a variety of pages for my girls to use. Each of theme is at a different point in their lives. They might have a lot to write about and they might have a small amount to write. There is a cover page for the journal. I put ours in a 1-inch binder. This allows me to add pages as we go through the month. Each of the tree page types comes in two lines types: single line and guidelines. This allows it to be used for several ages. Each page has a name, date and the start of the sentences “I am thankful for”. This first page has an area that they can also draw what they are thankful for. 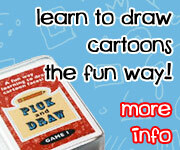 This allows younger kids in kindergarten and first grade to draw first and then write. This second page is a single page with just the start of the sentence “I am thankful for”. This allows for more complex writing ideas or expounding on what they are thankful for. This final page has spots for two sentences for two days. Or maybe they come back later and want to write more for that same day. What is nice about these is you can use them at any time. You don’t always have to use them around Thanksgiving! Another fun printable to use with these pages is the Thank You Writing Paper. Click here to get your copy of the Free Thankful Writing Journal. This entry was posted in writing and tagged free, printables, thankful, writing paper. Bookmark the permalink.